Seeking a few Active Players! 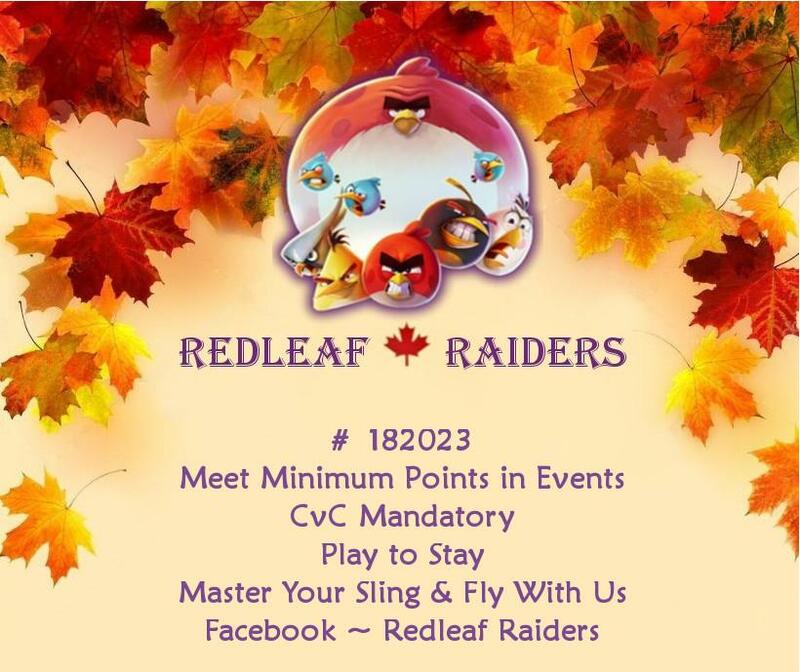 Redleaf Raiders #182023 is a stress free, drama free Diamond rank clan with 7 spots available for 575+ FP daily players. We’re a friendly Canadian based group of international team members. We also have a Facebook group for tips and easy messaging. Fly higher with us.